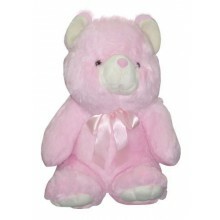 Chi Bear by Bear Huggs Available Colors: White, Green, Orange, Pink Size: 30" (2.5 feet) Note: Actual design & color may vary depending on the availability. Note: NEXT DAY DELIVERY available, if the delivery address is in PROVINCIAL AREA. SAME DAY DELIVERY- if the delivery address is within METRO MANILA Your purchase includes a complimentary personalized gift message. 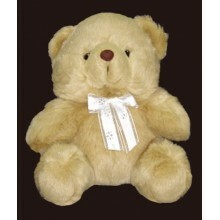 Bradly 24" Bear - 1994 Bear Note: - Actual design/color/texture may differ than picture shown. These factors may vary depending on the availability. - Metro Manila & Provincial Delivery, regular flat delivery rate will apply. Regardless of location / dimension / weight. - For Provincial Delivery, shipping fee is subject to additional charges based on actual weight/dimension of the product. Shipping will be added upon checkout as $10 + $9.95, for total shipping fee worth $19.95. Bubbles 26" Bear Note: Bear design / print may vary in actual Note: NEXT DAY DELIVERY available, if the delivery address is in PROVINCIAL AREA. SAME DAY DELIVERY- if the delivery address is within METRO MANILA Your purchase includes a complimentary personalized gift message. 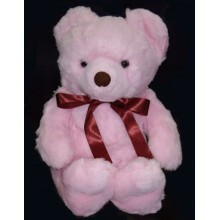 Chubby Large Bear Delivery date, greetings message and any other special instructions for this gift, You will be prompted a link after order processed page. Delivery date, greetings message and any other special instructions for this gift, You will be prompted a link after order processed page. Size Price Order Metro Manila Order Provincial 3.5 feet $117.95 ORDER NOW (Metro Manila) ORDER NOW (Provincial) Note: - Actual design/color/texture may differ than picture shown. These factors may vary depending on the availability. 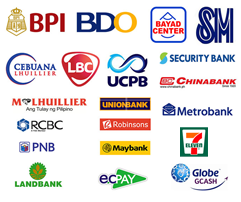 - Metro Manila & Provincial Delivery, regular flat delivery rate will apply. Regardless of location / dimension / weight. - For Provincial Delivery, shipping fee is subject to additional charges based on actual weight/dimension of the product. Shipping will be added upon checkout as $10 + $9.95, for total shipping fee worth $19.95. Jumbo 3 Ft. Bear Shaggy Note: Bear design / print may vary in actual Note: - Actual design/color/texture may differ than picture shown. These factors may vary depending on the availability. - Metro Manila & Provincial Delivery, regular flat delivery rate will apply. Regardless of location / dimension / weight. - For Provincial Delivery, shipping fee is subject to additional charges based on actual weight/dimension of the product. Shipping will be added upon checkout as $10 + $9.95, for total shipping fee worth $19.95. Delivery date, greetings message and any other special instructions for this gift, You will be prompted a link after order processed page. Lucky 26" Bear 1994 Note: Bear design / print may vary in actual Note: NEXT DAY DELIVERY available, if the delivery address is in PROVINCIAL AREA. SAME DAY DELIVERY- if the delivery address is within METRO MANILA Your purchase includes a complimentary personalized gift message. 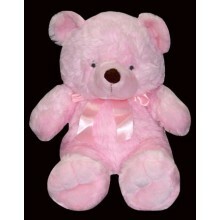 Lucky Bear 2003 Note: NEXT DAY DELIVERY available, if the delivery address is in PROVINCIAL AREA. SAME DAY DELIVERY- if the delivery address is within METRO MANILA Your purchase includes a complimentary personalized gift message. 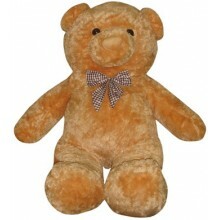 Oliver 25" Bear - Lucky Bear 2005 Note: Bear design / print may vary in actual Note: NEXT DAY DELIVERY available, if the delivery address is in PROVINCIAL AREA. SAME DAY DELIVERY- if the delivery address is within METRO MANILA Your purchase includes a complimentary personalized gift message. 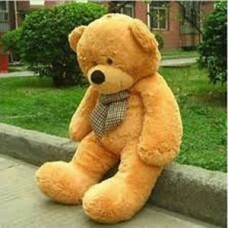 Teddy Note: Bear design / print may vary in actual Note: NEXT DAY DELIVERY available, if the delivery address is in PROVINCIAL AREA. SAME DAY DELIVERY- if the delivery address is within METRO MANILA Your purchase includes a complimentary personalized gift message.